Amazon.com description: Product Description: The author's views are practical, honest, common sense solutions to problems we are encountering. 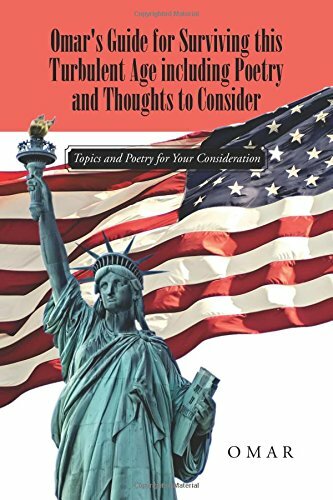 The topics are ment to encourage any reader to offer his or her thoughts, add additional topics for survival of our freedoms. Poetry contains deeper meanings, which prose cannot express. Each reader should "feel" poetry, not just read it. Omar, a 3000 year old scribe, scholar, etc. . ., the author's nom de plume (alter ego) offers humor and additional insights.